CART – Auto Amazing USA! 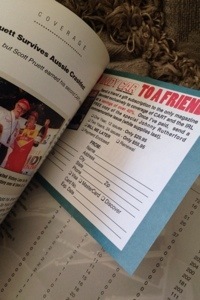 Genuine original issue. Not a reproduction. Photo depicts actual item listed. This item ships in a cardboard tube in 1-3 business days USPS First Class Mail delivery with tracking including to assure delivery. 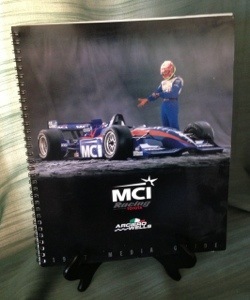 Cover features include The Tracks, Alex Zanardi, Oldsmobile Anniversary. All are nearly mint original condition. 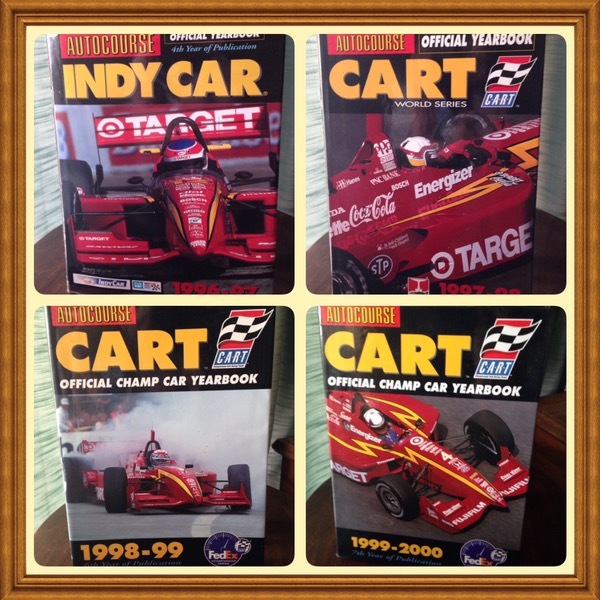 What a fantastic set of four (4) Autocourse Yearbooks 1996-2000 nearly mint condition motor books featuring CART and Indy Car years 1996-2000, three of the four years the Target / Chip Ganassi Racing Team dominated the open-wheel series (’97, ’98, ’99). 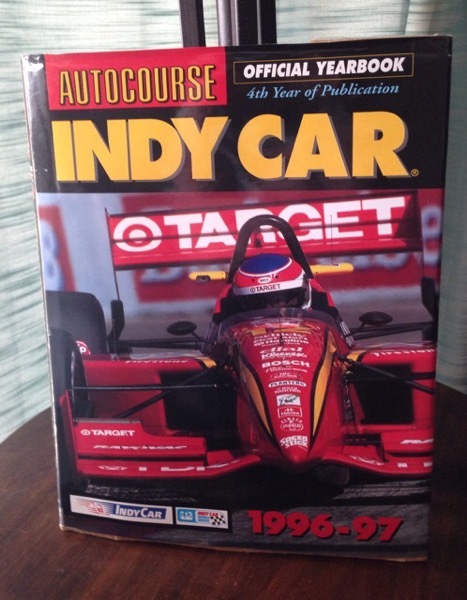 Jimmy Vasser, Alex Zanardi and Juan Montoya were the featured drivers. These books are out now out of print and are a wonderful edition to any enthusiasts library. The dust jacket is mint. Seller purchased these items and simply stored them away without ever really using them. 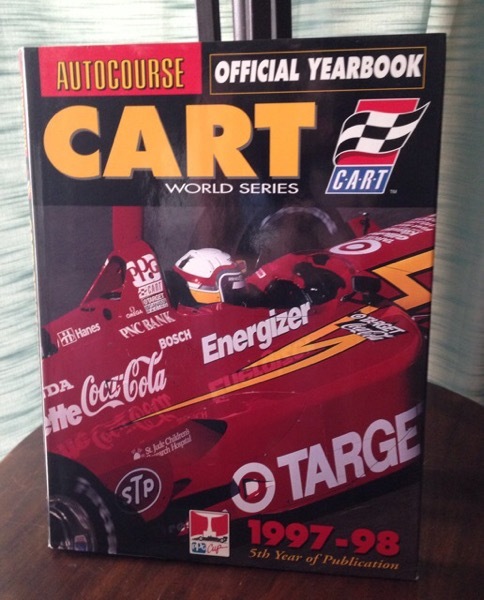 1999/2000 CART Yearbook by Jeremy Shaw. 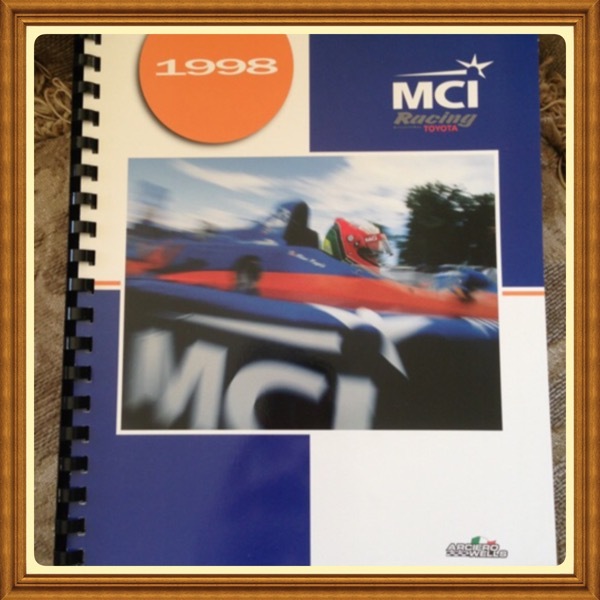 These Autocourse yearbooks are the industry bibles for the world-wide INDY CAR & CART auto racing seasons! The books measure 9.5″ X 12.5″, and have about 200 paginated pages each. 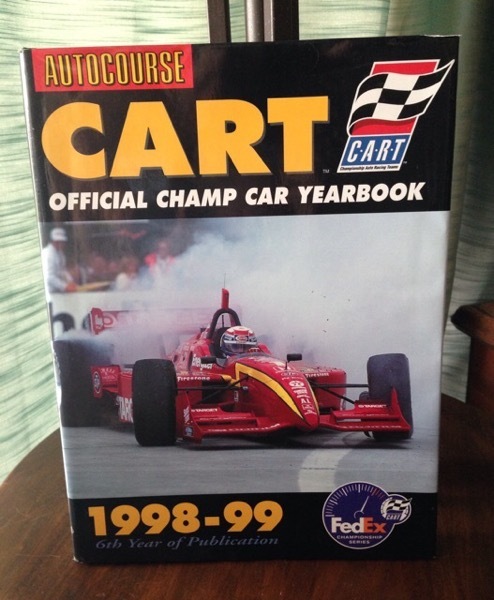 These yearbooks are comprehensive and include details, team, track and driver info, spectacular professional photography, illustrations, data, statistics, championship standings, and much more covering the entire spectrum of INDY CAR and CART auto racing for the 4-year season! Please note we are unable to provide additional details or conduct any research about the above item other than to detail what is provided in the description as completely and accurately by a knowledgeable staff person so the buyer may have confidence he shall receive the item as best described above. 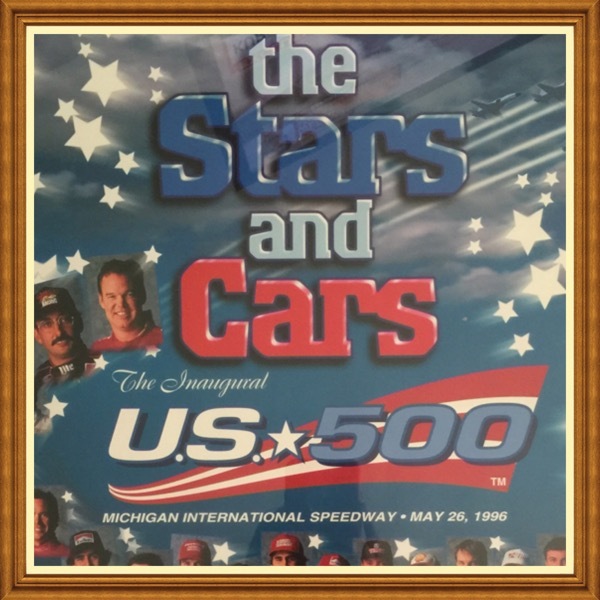 A brand new poster from the Inaugural CART US 500 Michigan, May 26, 1996. 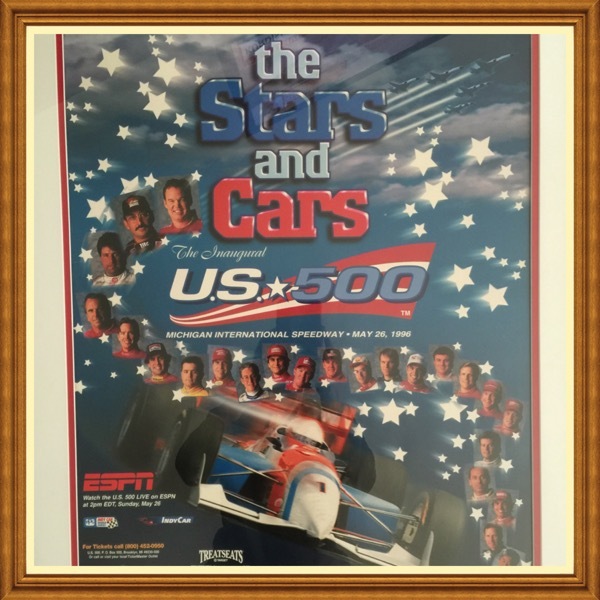 “Stars & Cars” Poster. Photo depicts sample of item from an actual framed print. 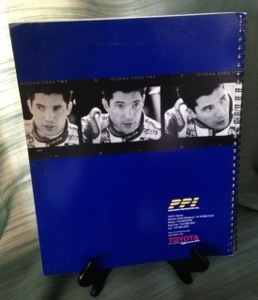 These are three separate kits, Media Guide Press Information Folder/Kit for Max Papis’s Inaugural Racing Year into CART open-wheel racing as Arciero-Wells’s Toyota MCI replacement driver for the late Jeff Krosnoff. 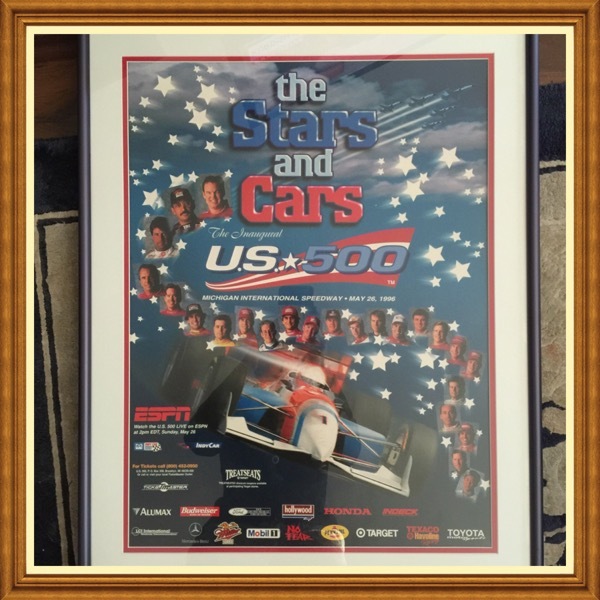 A wonderful Max Papis collectible. 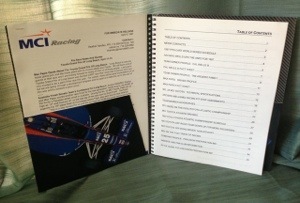 Only a handful of these specific Media Guides exist and were distributed to members of the media. Max Papis was asked to step up and fill the racing boots of the “No Fear” racing legend Krosnoff in 1996. Papis’s “Mad Max”Italian flair, smile and spirit brought much enthusiasm to the team during its darkest hour and Arciero Wells completed the 1996 CART season with Papis returning the following year to lead the team. 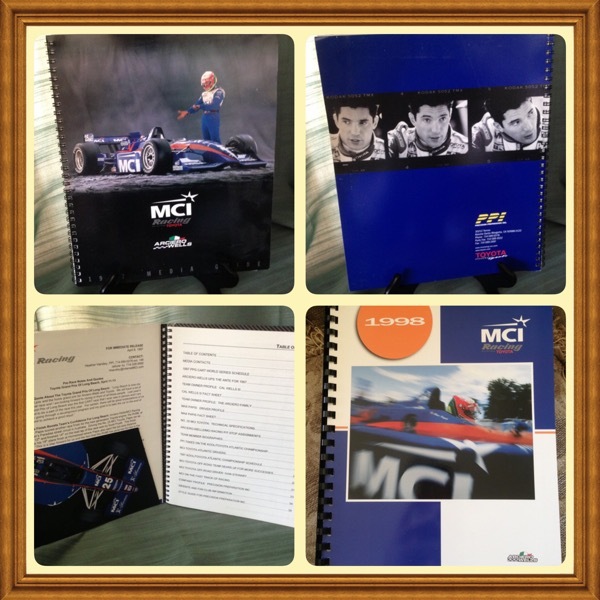 Max left Arciero in 1999 for other racing pursuits. This rare piece of automotive literature marks a significant time in CART racing history when the HANS device was not a required safety device. It was widely believed at the time among the racing community that had the usage of the HANS safety device been sanctioned by CART at the time, late drivers Krosnoff and Earnhardt may very well have survived their accidents. We’re sorry, this item is no longer available. Mint original. Magazine is complete. No subscription label. 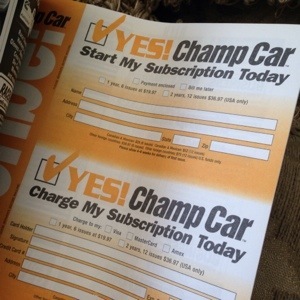 Champ Car Magazine was a supplemental magazine issued by Racer which featured stories from CART. No other information is available at this time. No magazine labels attached. These magazines were originally delivered in plastic wrappers. Mint condition item. Magazine is complete. 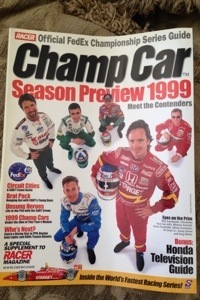 Featured Cover Photos: Greg Moore, Jimmy Vasser, Michael Andretti, Adrian Fernandez, Dario Franchitti, Al Unser Jr.
CART Driver Greg Moore died in a racing accident when his life came to an abrupt end on October 31, 1999, when he was fatally injured in a violent crash on the tenth lap of the CART season finale, the Marlboro 500, at the California Speedway in Fontana, California. 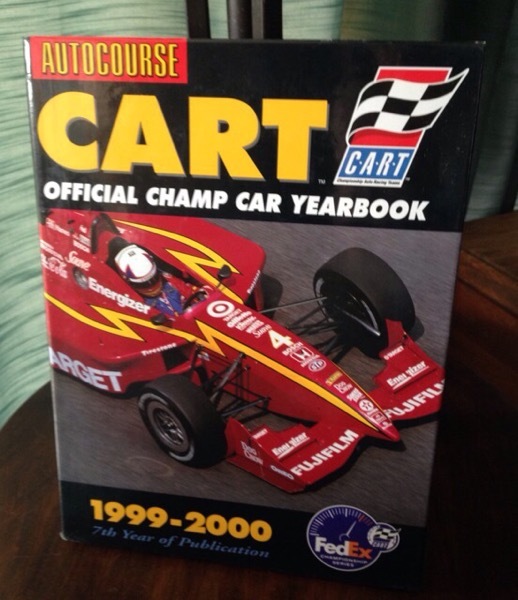 Champ Car Magazine was a supplemental magazine issued by Racer which featured stories from CART. No other information is available at this time.